This curried butternut squash soup is everything you need in a bowl of soup. Everything! 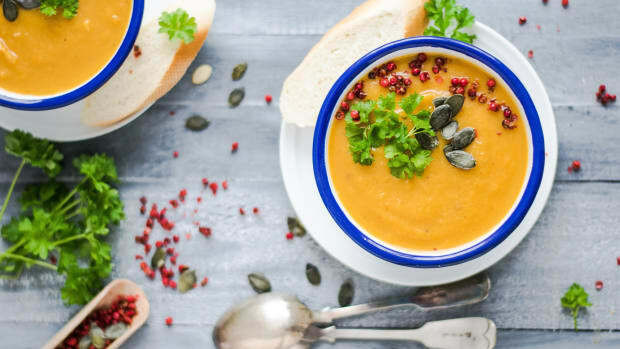 With spicy flavors balanced by sweet and creamy butternut squash, this soup will have you salivating. 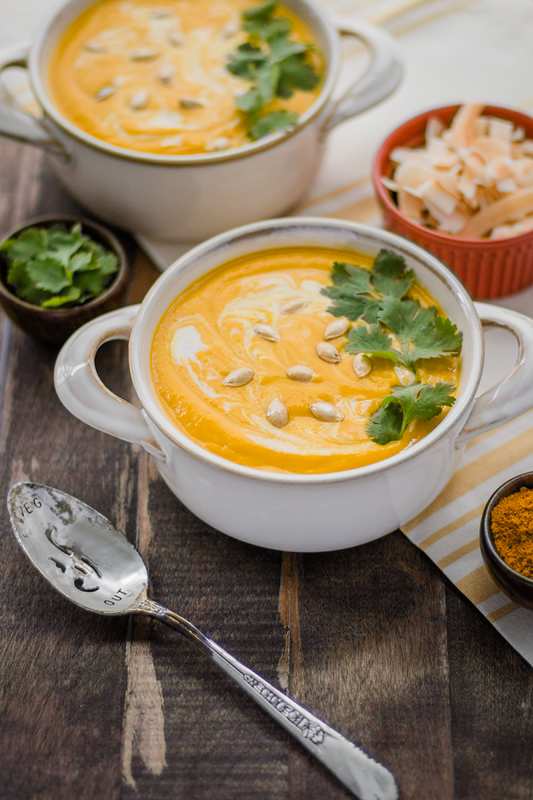 A sprinkle of crunchy toasted coconut and roasted seeds sends this soup over the top. Butternut squash works wonderfully with Thai ingredients and makes for a big bowl of comfort. Imagine the smell of your favorite Thai restaurant. The strong aromas of ginger, turmeric, and coconut. That’s exactly what this soup tastes like. 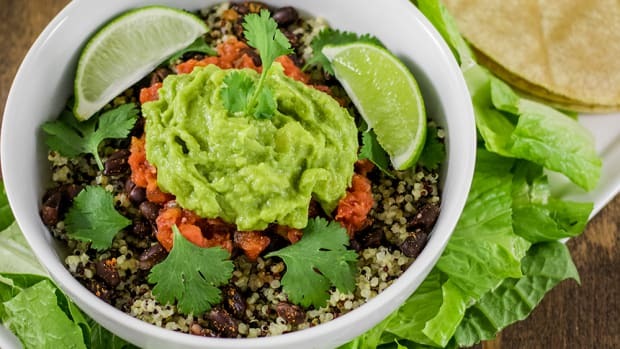 It’s perfection in a bowl. If you’re new to cooking with butternut squash, don’t be intimated. You can follow along with our step-by-step guide to preparing butternut squash which makes the process a breeze. 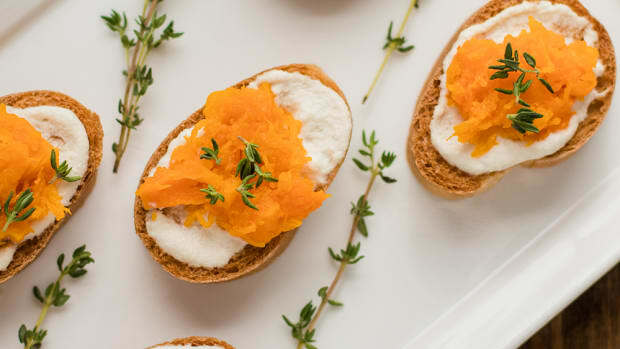 If you’re short on time, feel free to use store-bought cut butternut squash. But keep in mind that cutting up your own butternut squash saves money and will taste fresher. 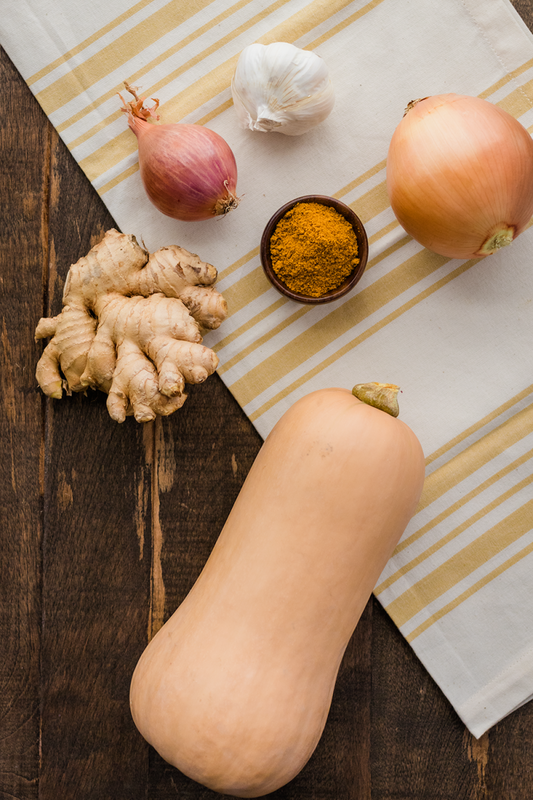 Butternut squash is a great source of fiber which means it&apos;s a heartier ingredient than it looks and will keep you full. 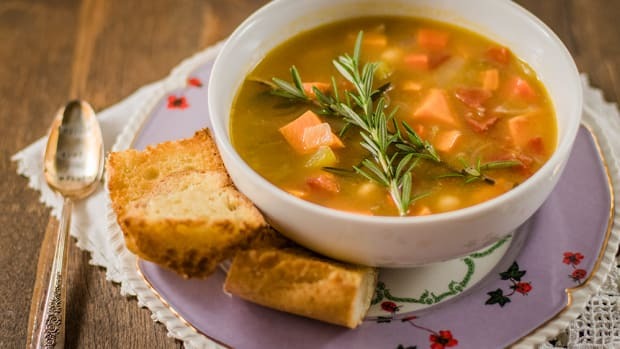 Combine that with low-calorie content and butternut squash soup is a weight-loss friendly food. Butternut squash is also rich in vitamin C, vitamin A, potassium, and manganese. Those nutrients can help keep eyes, skin, and bones healthy. Even though butternut squash has a peel which can protect some produce from pesticide residue, you may want to consider buying organic squash. Winter squash such as butternut squash is #25 on the Dirty Dozen list and has been linked to more than 60 pesticides. 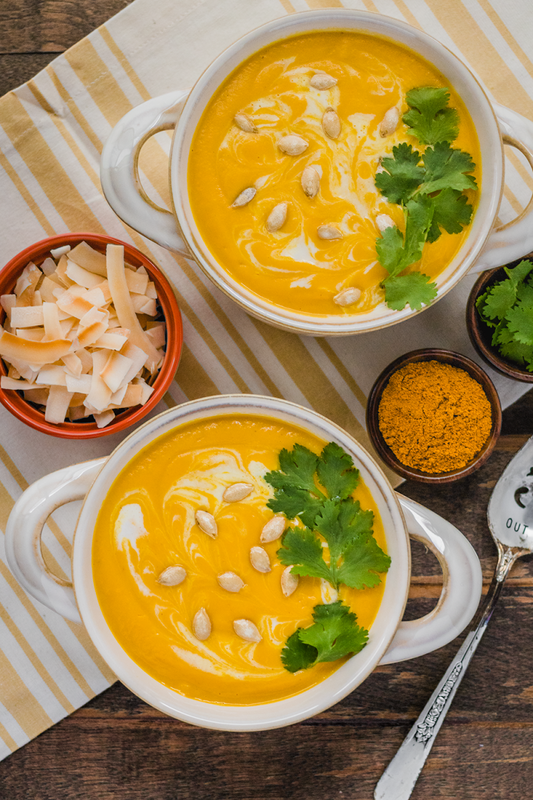 The trick to perfecting curried butternut squash soup is one secret ingredient. 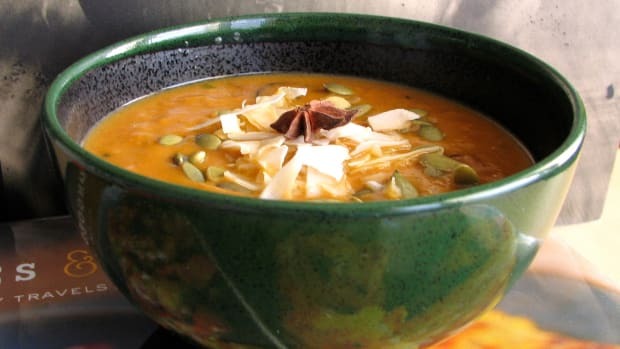 Most curried butternut squash soup recipes use curry powder which is essential but not the only ingredient you need. We kick it up a notch by including a Thai kitchen staple that can’t be missed: ginger. It may not sound that groundbreaking, but it makes all the difference. 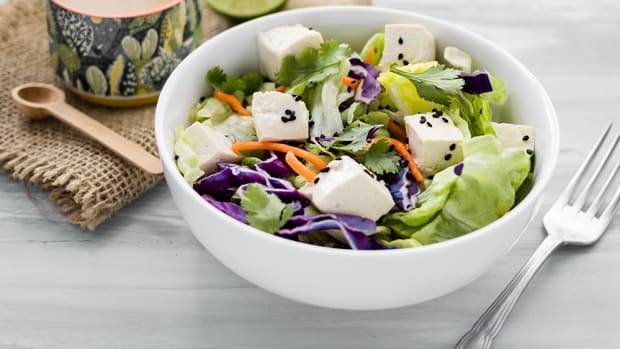 It adds a zesty touch that complements the curry powder and coconut milk. Plus, ginger boasts a variety of health benefits. Ginger’s most notable benefit is the enhancement it provides to the digestive system. Ginger has long been known for its ability to ease queasy stomachs. But it also can help prevent stomach aches and help food to digest easier. Ginger is consisted of powerful compounds called gingerols. Gingerols pose anti-inflammatory benefits which may help those suffering from osteoarthritis or rheumatoid arthritis. The compounds are believed to help ease pain when ginger is taken on a regular basis. You can get even more use out of your butternut squash and add a crunchy touch by saving the seeds. Like pumpkin seeds, butternut squash seeds are edible and delicious. Just follow along with these directions for roasting squash seeds. Sprinkle them on the soup and you’ll have a gluten-free alternative to croutons. Other delicious garnish ideas for curried butternut squash soup are fresh cilantro leaves and toasted coconut chips. The cilantro provides herby notes while the toasted coconut chips provide a delightful crispy bite. This recipe makes a thick and creamy soup so it uses minimal liquid. 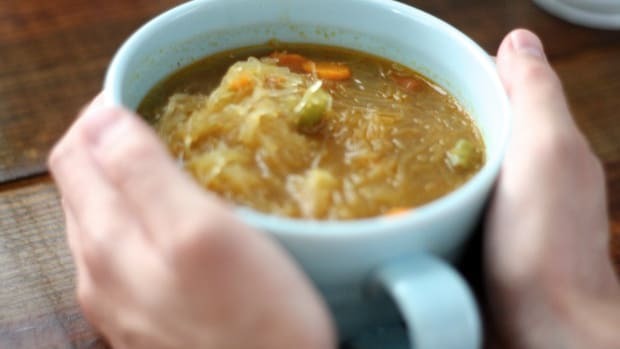 But if you prefer a thinner consistency, increase the vegetable broth by ½ cup. Heat coconut oil in a large stockpot over medium heat. Add onion and sauté for four minutes, until softened and translucent. Add shallots and sauté for an additional minute. Reduce heat slightly and then add garlic and ginger to the pot. Sauté for two minutes while stirring occasionally. 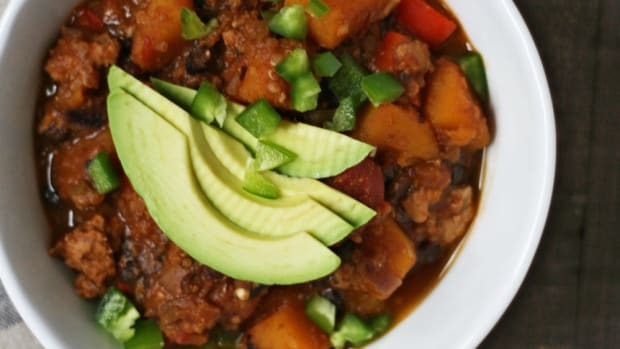 Increase heat back to medium and then add butternut squash cubes along with sea salt and curry powder. Sauté for four to five minutes, stirring occasionally. Add vegetable broth and bring soup to a low boil. Cook covered for 15 minutes or until butternut squash is fork tender. Remove from heat and let cool for ten minutes. Transfer soup to a high-speed blender. Add the coconut milk and then blend until completely smooth. Pour soup into bowls and then drizzle with coconut milk. 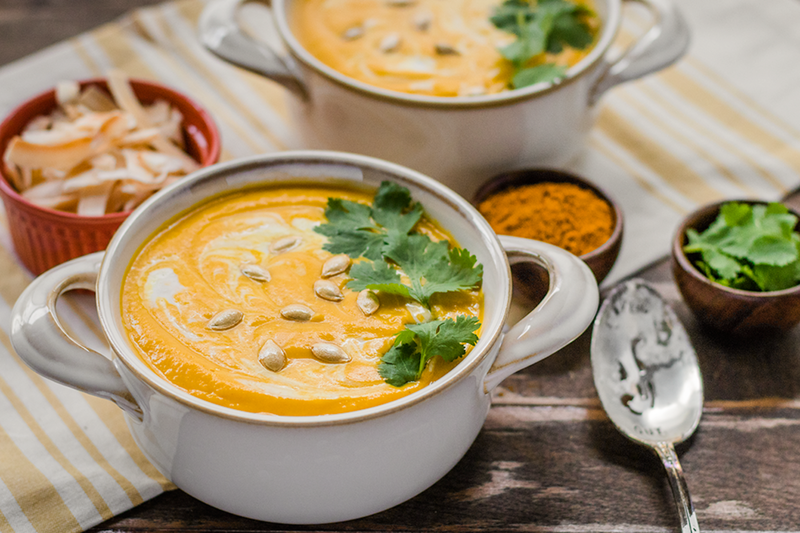 Then, garnish each bowl of soup with roasted squash seeds, cilantro, and toasted coconut. Season with salt and pepper to taste. Enjoy!